PARIS (AP) – Thousands of Yellow Vest protesters took to the streets across France on Saturday for a 15th straight weekend of demonstrations, trying to re-energise supporters while tamping down on the violence and anti-Semitism in the movement’s ranks. Among the many rallies around Paris and in other French cities, hundreds gathered at the Arc de Triomphe monument in Paris to march through well-off neighbourhoods to protest government policies they see as favouring the rich. Five separate demonstrations were organized in the French capital, which saw 4,000 protesters by 2 p.m. according to Interior Ministry, which said there were 11,600 protesters scattered across France. Last weekend, the extremist views of some protesters erupted in a torrent of anti-Semitic insults hurled at noted philosopher Alain Finkielkraut on the sidelines of a Paris protest. The assault came days after the French government reported a huge rise in incidents of anti-Semitism last year. Local authorities in the central French city of Clermont-Ferrand urged residents on Saturday to avoid downtown, where 2,500 Yellow Vest protesters clashed with police forces. The prefecture said police arrested 15 people — including eight who were placed in custody — and seized weapons including baseball bats and alarm pistols. A few hundred Yellow Vest protesters made the most of the sunny weather to gather at Chambord Castle in central France for a picnic. 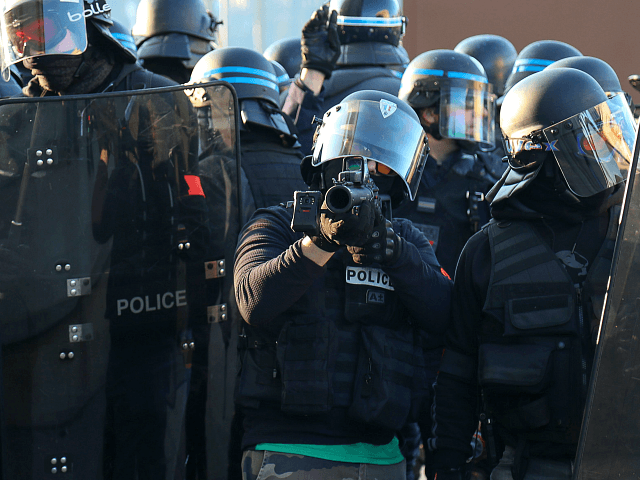 Elsewhere, activists blocked access to an Amazon platform in the southwestern city of Toulouse. The protests started in November to oppose fuel tax hikes but have expanded into a broader public rejection of French President Emmanuel Macron’s economic policies, which protesters say favour businesses and the wealthy over ordinary French workers. Macron has tried to assuage protesters’ anger by making some concessions — like rolling back the fuel tax hike — and holding forums where officials can better listen to public demands.